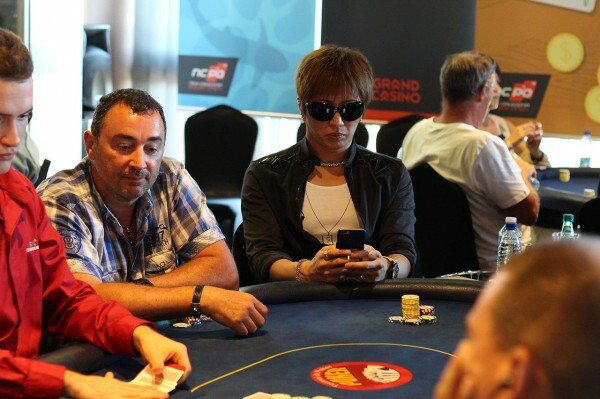 He is a music star of the pop category in Asia; he has taken up the onus of changing the negative image that poker has in Japan. He was seen in the WPT Legends of Poker, an event that was held at Bicycle Hotel and Casino in California at Bell Gardens. The event has lived up to its name and has drawn several big names from all across the world, especially those who are associated with the game or wish to promote the same. This celebrity dropped in at the event as well as signed up to compete in the Legends title game. Gackt Camui is a Japanese pop star and is considered a star who is loved and heard across households in Asia. He is a fan of World Poker Tour and plays poker as a recreation. He made the trip to this event as well as in Los Angeles to be part of WPT event and competed in the games held on Day 1c. Known as the Michael Jackson of the east, his music career started from 1993. He generates much excitement wherever he goes and hence, the poker tournaments that he lands up at are no exceptions. Gackt is known to have 835000 followers and that speaks for the kind of influence he has. His solo records are counted among the top fifties and he has had consecutive singles, top ten hits in a row. He was introduced to World Poker Tour in May this year. He had also raked in considerable sums in, high roller events this year in July. He says that he discovered poker through small games that he played in Barcelona. He hopes that Japan audience realizes the games of skill and strategy that poker games are all about.